Claude Blair: The Date of the Early alabaster Knight at Hanbury, Staffordshire. Investigates the alabaster military effigy at Hanbury formerly considered to date from c.1300 and thus the earliest alabaster effigy. Describes armour. Identifies Henry de Hanbury d. c1347 as likely subject. Compares effigy to similar examples in Shropshire, Nottinghamshire & Staffordshire, three of which carry purses. A workshop at Shrewsbury or Lichfield is proposed for them. Harry Tummers: Medieval Effigial Monuments in the Netherlands. 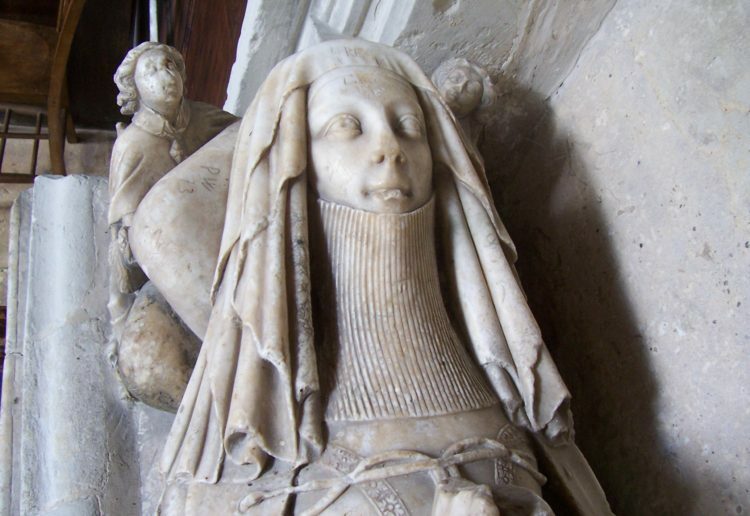 Fifteen surviving medieval tombs. No suitable local stone. Describes effigial tombs and incised slabs 13-16C. Adam White: England c. 1560 – c. 1660: A Hundred Years of Continental Influence. Ingrid Roscoe: Flemish Sculptors and Adjustments for the English Market: The Case of Peter Scheemakers. Examines the effect current English Protestant taste had on immigrant sculptors from the Catholic Low Countries. Both imagery and range of commissions were narrowed in England. Compares the career of Peeter Scheemaeckers of Antwerp and his son Peter who came to England c.1720. Traces history of the classical mausoleum by James Wyatt built 1786-94 to commemorate Sophia Pelham d.1786. 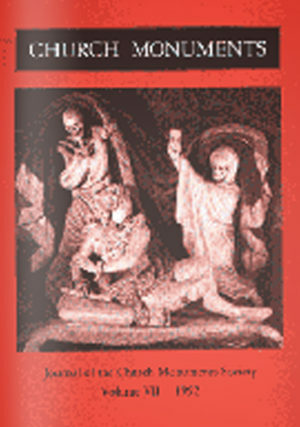 Three other monuments in the mausoleum (which were commissioned in Rome in 1769), and the identity of their sculptor, are investigated.